You spend a lot of time in bed, so it is important to choose a mattress that will help you get the best night’s sleep possible. 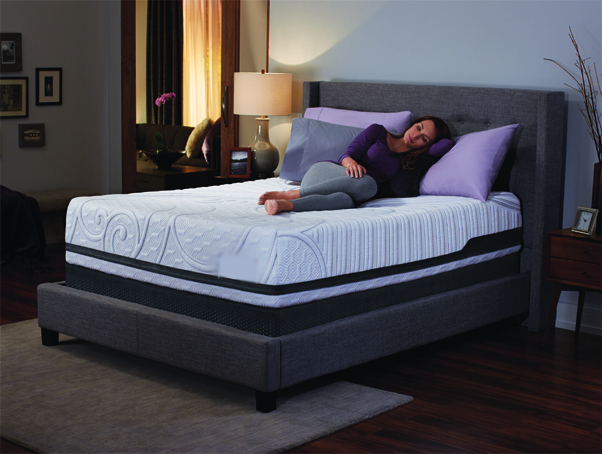 Mattress size will be a major factor in your decision, and there are several things to consider while you browse for the ideal sized mattress for your bedroom—room size, the amount of sleeping space you require, and a person’s height to name a few. *These measurements can vary by +/- 0.5”. Also known as a "single" mattress. Great in children's rooms and smaller bedrooms. A narrow bed that is easy to move and fits almost anywhere. Approx. width per person: 39"
Pros: Fits in smaller bedrooms. Sheets are less expensive than for other sized beds. Cons: Too short for many adults. Five inches longer than the standard twin and typically used in college dorms. Easy to move from room to room and great for taller teens. Pros: Longer length is great for taller teens and adults. Cons: Bedding can be harder to find and available patterns may be limited. Sometimes called a "Double" mattress. Wider than a twin, but still limits sleeping space for two adults. Approx. width per person: 27"
Pros: Fits into smaller rooms. Sheets are less expensive than queen or king size. Cons: Considered by many to be too narrow for two adults. At 75" in length, may be too short for some. Longer and wider than a full, a queen is more accomodating for two adults. A good choice for smaller master bedrooms. Approx. width per person: 30"
Pros: Better fit for two adults. Plenty of length for most adults. Bedding is easy to find. Cons: Only slightly more sleeping width per person than a full. Some bedding is sold as "Full/Queen" and may not perfectly fit either size. 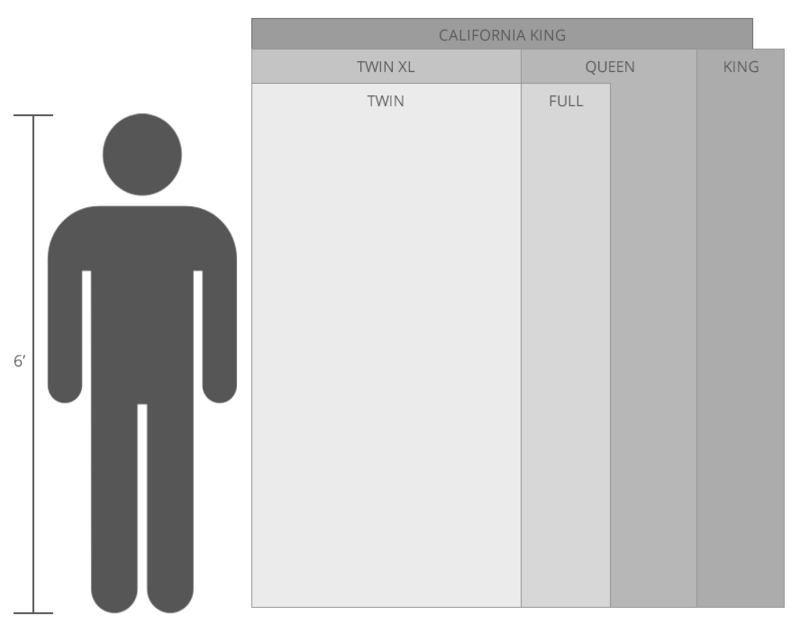 Sometimes referred to as an "Eastern King" and offers the same width per person as a twin. A king mattress uses two twin extra long sized box springs. Pros: Widest standard bed available. Comfortably sleeps 2 adults. Sheets are easy to find. Cons: Large size makes it difficult to fit up stairs and into smaller rooms. Bedding is more expensive than other standard sizes. Also known as a "Western King" mattress. This may be the preferred choice of taller adults and adds a foot in width and four inches in length to the standard queen. Approx. width per person: 36"
Pros: More length to accomodate a taller person. Ample width for two adults. Cons: Challenging to move up and down stairs and from room to room. Bedding is expensive in king sizes. Sheets are more available on the West Coast and may be difficult to find in other parts of the country.